Our senior class, the Violets, graduated yesterday! 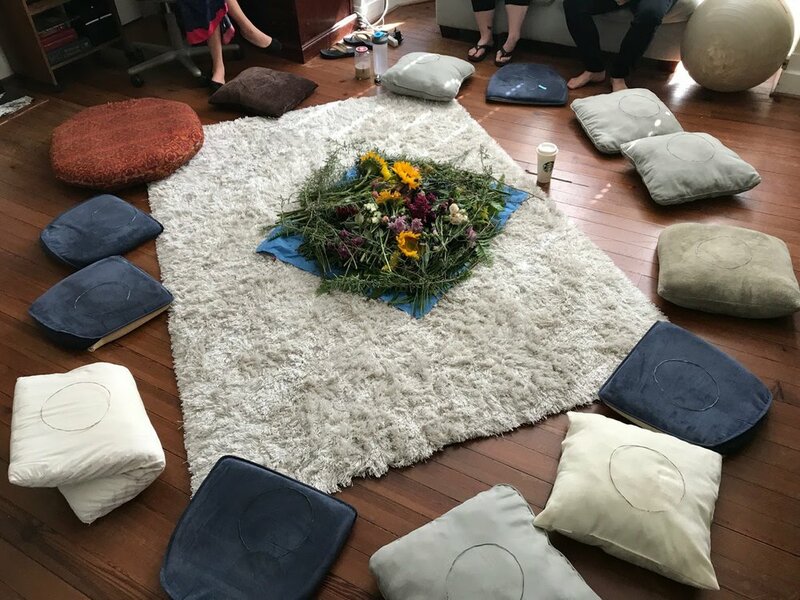 The day began with brunch and Birth Circle on campus at 10:00 AM. 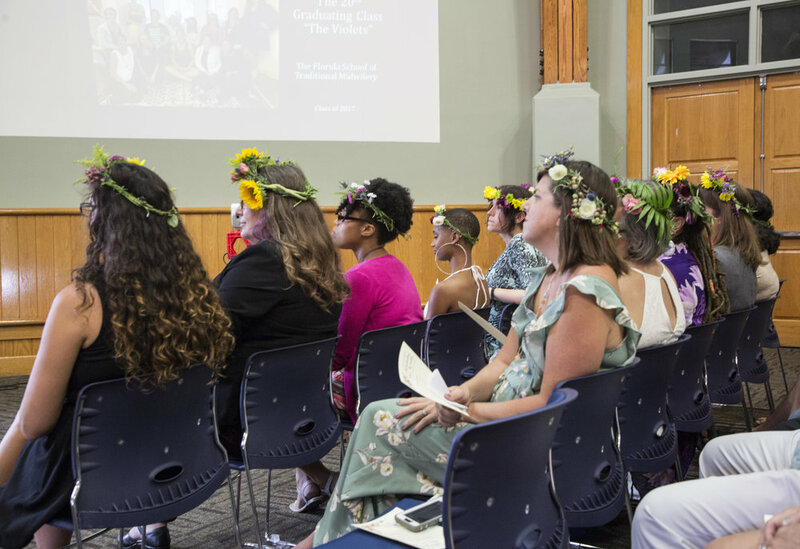 The graduates shared birth stories and created flower crowns to wear for Graduation. The ceremony was held at the beautiful Alachua County Library on University Avenue at 1:30 PM. We are so thrilled to see the culmination of their journey through midwifery school! 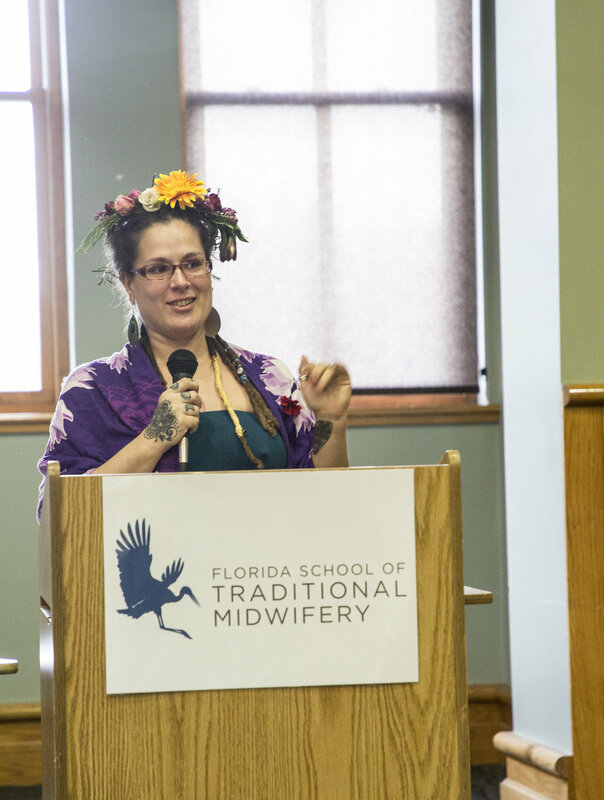 We will miss having them on campus, but we are so excited to watch them enter this new chapter of their lives as Florida Licensed Midwives. Older PostLast Day of Summer Classes!